I am going to back-track a little in my Hanoi travel escapades. 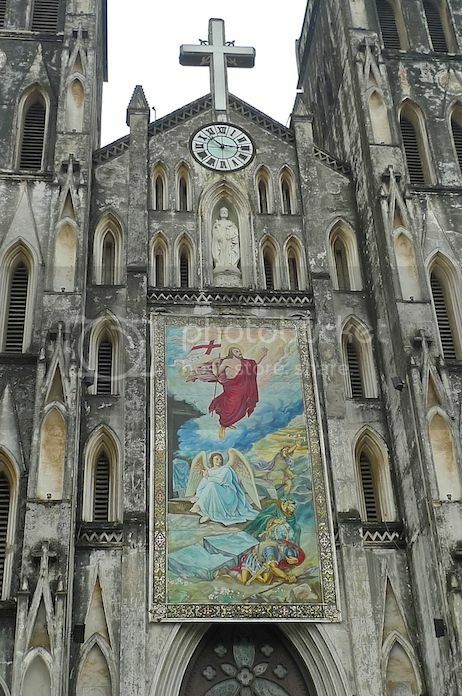 On my second day in Hanoi, my friend and I passed by a church while we were exploring the Hoan Kiem area. 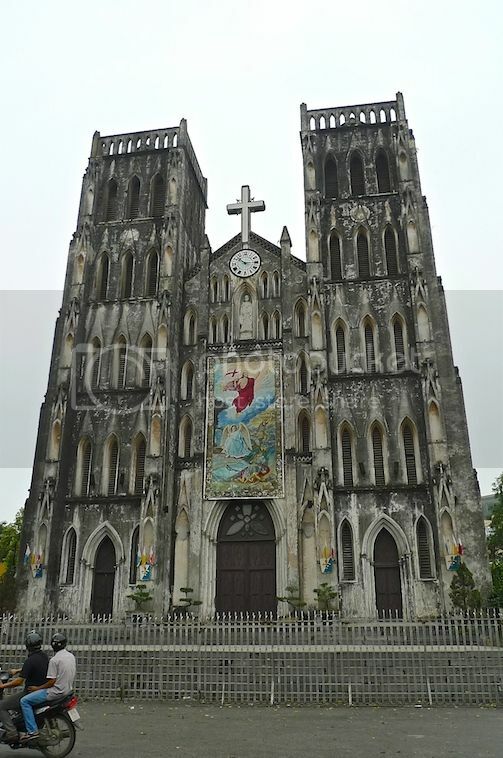 Known as St Joseph's Cathedral, this catholic church blew us away as its Neo-Gothic architectural design makes it looked almost like the Notre Dame of Paris! 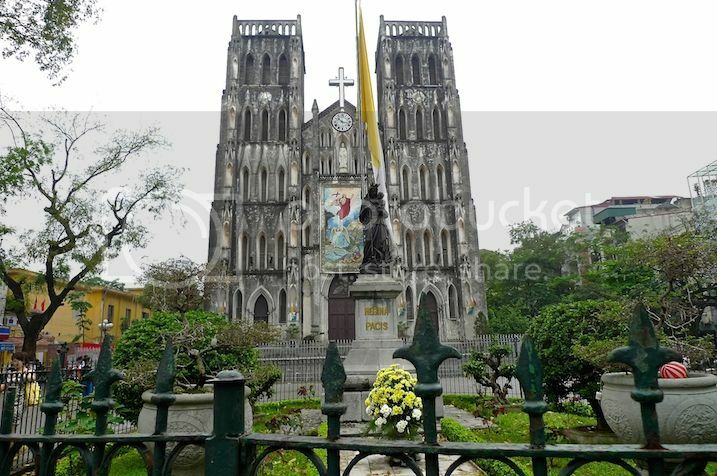 Although I have already heard about this church prior to my trip, visiting it was not really in my planned itinerary. So imagine my pleasant surprise when we somehow stumbled upon it! 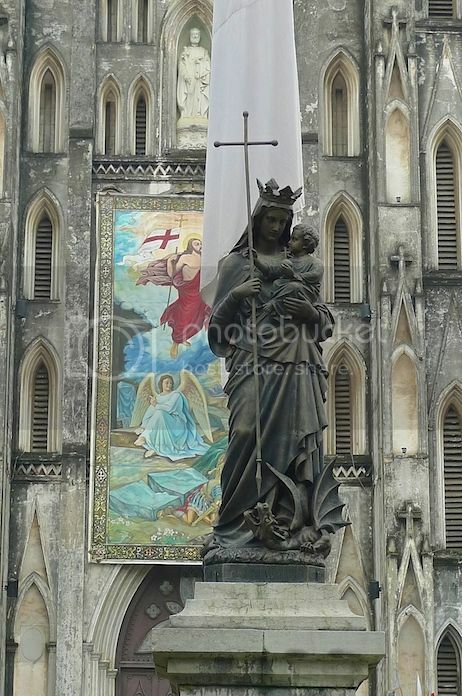 Centrally located at the end of Nha Tho Street and the corner of Nha Chung Street, the church was one of the first structures built by the French colonial government in Hanoi. 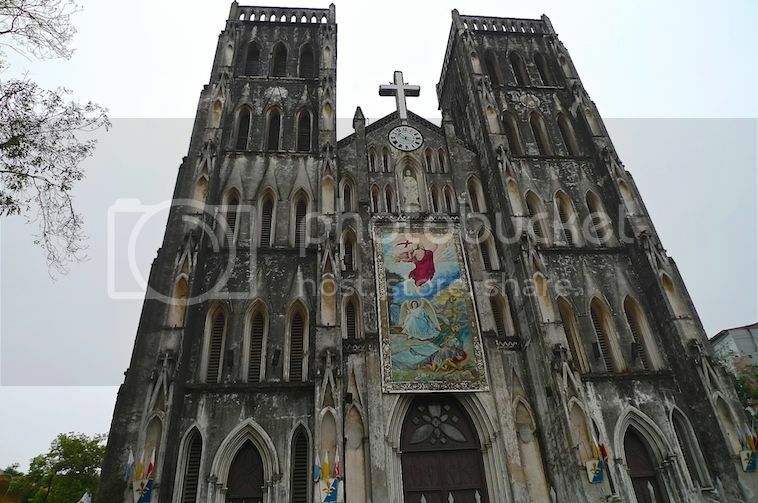 Completed in 1887 by Monseigneur Pigneau de Behaine, it is considered the oldest church in Hanoi. My friend and I wanted to go inside the church but unfortunately, it was not open during our visit. When I traveled to Hanoi for a second time early this year, I revisited the church and managed to go inside and take some photos. I will be posting those photos in a future post, so stay tuned! There is a courtyard in front of the church building. I suppose the courtyard is a good place for worshippers to gather. 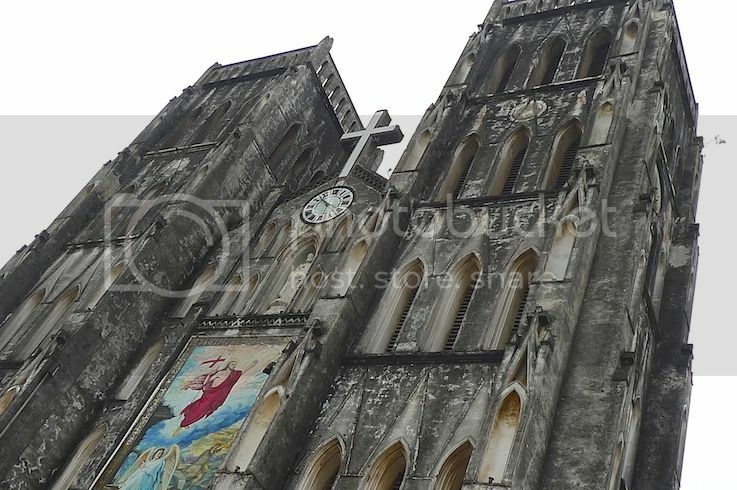 From up close, St Joseph's Cathedral looked somewhat imposing with its two large square towers. But it is these two square towers that make it look similar to Notre Dame of Paris, don't you think? 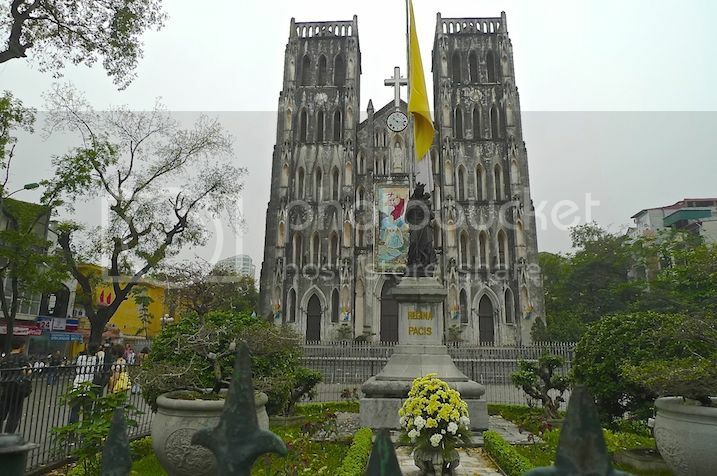 Surrounding the cathedral were many boutique shops (selling silk and souvenir items) and cafes. I would highly recommend a visit to St Joseph's Cathedral and the surrounding area if you are into some serious shopping! Or if you are a non-shopper, just drop by one of the cafes (my favourite being Cong Caphe) and sip Vietnamese coffee while watching the world pass by!